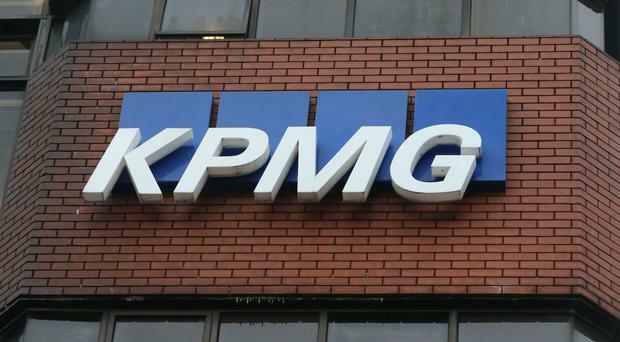 KPMG said "times have changed" and recognised the "need for responsible tax behaviour"
Three of the UK's so-called Big Four accountancy firms have responded to Government proposals to clamp down on firms that sell tax avoidance schemes to businesses. KPMG said "times have changed" and recognised the "need for responsible tax behaviour". A spokesman added: "We recognise that there's a potential conflict between a taxpayer's right to minimise their tax liability and the duty they have to society to pay a fair amount of tax. We think about and treat this very seriously and have codified our approach. "Times have changed and the debate around tax has changed too. What was seen as acceptable behaviour is no longer regarded as appropriate." KMPG, PwC, Deloitte and EY were attacked by the House of Commons Public Accounts Committee last year for making lucrative profits out of designing and selling ways for their clients to avoid tax. Committee chairwoman Margaret Hodge named PwC as one of the firms "selling these schemes on an industrial scale". Under new proposals put forward in a consultation document, the Treasury said accountants that help wealthy individuals and companies unlawfully exploit tax rules could be forced to pay fines of up to 100% of the tax that was underpaid. But PwC warned that any new measures should not impact its ability to give advice to clients. Kevin Nicholson, head of tax at PwC, said: "We support the efforts to ensure there is greater clarity in this area. Any new measures that are introduced must be appropriately targeted and proportionate so that the ability of taxpayers to receive independent professional advice is not adversely impacted. "Any new regulation needs to be clearly articulated and understood. A poorly directed measure would risk burdening the economy and HMRC (HM Revenue & Customs) alike, as taxpayers' advisers seek clarification from HMRC on areas of uncertainty in the tax system before they are able to proceed with commercial transactions." EY said it supports "improving certainty and transparency in the tax system and compliance with it". The accountancy giant added: "EY's clients seek our advice on a wide range of issues, including the most appropriate tax planning that is in compliance with the applicable laws and rules. "EY strives to have an open and constructive relationship with tax authorities worldwide." Deloitte did not respond to request for comment.